My boyfriend bought me the earrings, so I got on here and ordered this necklace and ring. I love these pieces. We were outside where it was sunny, it just glowed.....so beautiful!!! 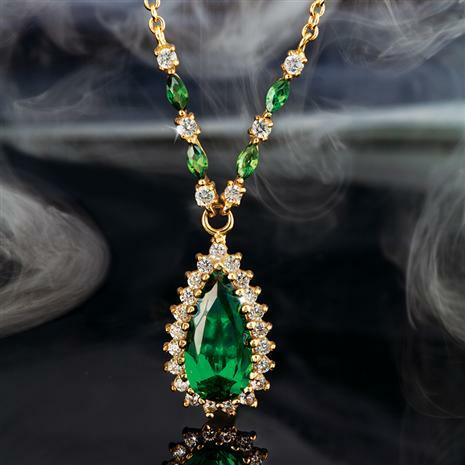 This gorgeous 4 ¼ carat total weight Helenite and DiamondAura® necklace is erupting with vibrant color and fire. It's certain to bring tears of joy to the lucky lady who wears it.